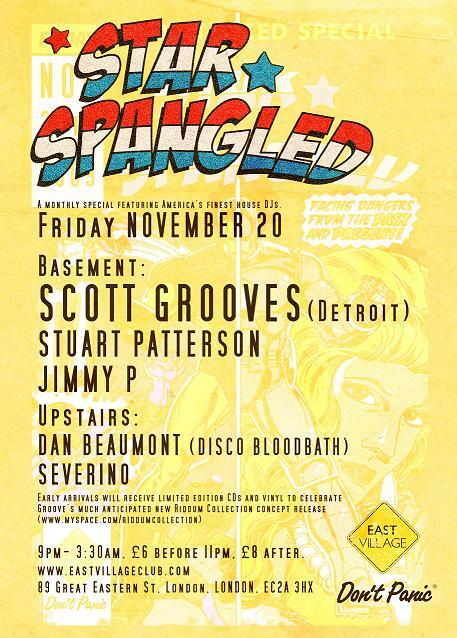 East Village and Don’t Panic are very proud to be inviting one of Detroits finest DJs and producers Scott Grooves for a very rare London appearance behind the decks on their hallowed basement sound system on November 20th 2009. Scott has been releasing lauded records on his own Natural Midi and From The Studio Of Scott Grooves ever since developing his own blend of percussive Detroit house and techno always with roots in jazz and soul. 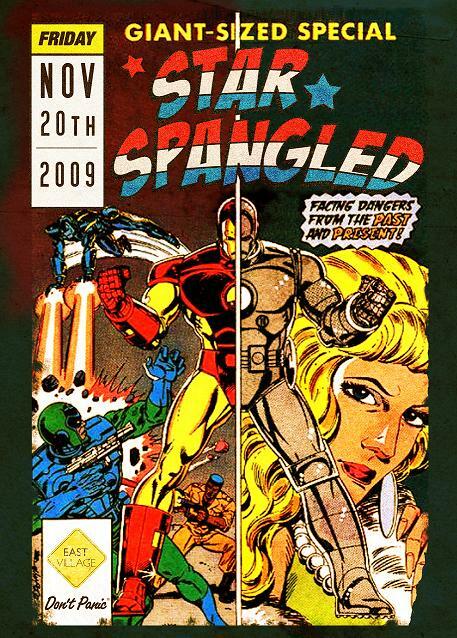 Scott played in London for the first time in 10 years at Fabric a couple of months ago and blew the crowds away. This is going to be a real deep house party with music that could spring from a vast collection of retro and future classics whether his own or from his hometown. On the night, Grooves will be defining the sound of Detroit house and techno featuring deeply rooted gems accented by melodic phrases designed to move your feet til the early hours. Upstairs to complement the occasion two of London’s most distinguished and respected party starters Dan Beaumont of Bloodbath Disco and Severino of Horsemeat Disco will be whipping up a house and disco storm. Severino is one of the hardest workers around and his taste and flare for playing brings a smile to all who have the pleasure to hear him play. You can expect anything from disco, house, electro and soulful vocal music. Last year Dan was nominated for the ‘Best Breakthrough DJ’ category in DJ Mag’s annual poll and been playing for discerning dancefloors across Europe including Bugged Out, Fabric, Matter, secretsundaze, Berghain Cantine, the MTV awards aftershow in Berlin plus many others in Paris, Barcelona, Berlin & Athens with a frenetic update of the disco sound. This is a party not be missed by any dance fan as we celebrate the roots and the deep traditions of club culture. See you there!